The Hilomast Rapid Deployment Unit (RDU) can easily be assembled, having your mast extended in minutes. 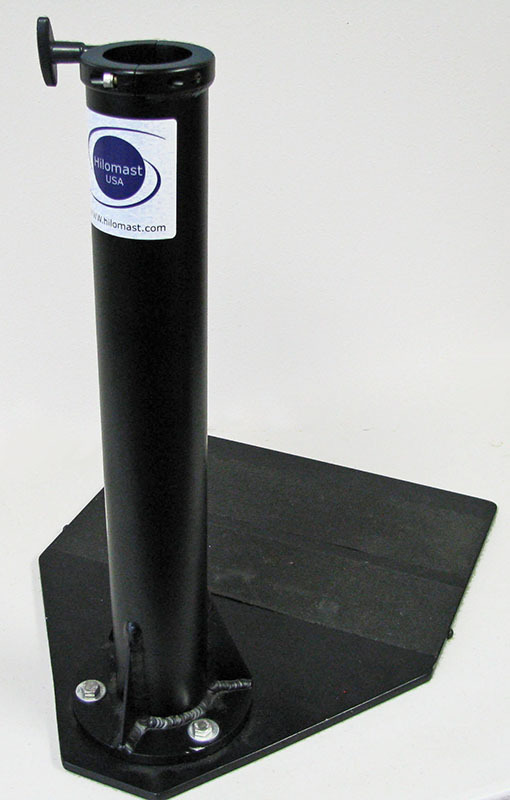 Built to MIL SPEC 810.E standards, it offers a robust base for your telescopic mast. The Hilomast RDU fits most 4 x 4s and SUVs. 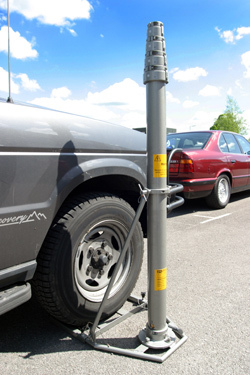 The Hilomast RDU is designed to use your vehicle’s own weight to hold the foot of the base in place. Special attachment brackets can me made to order. A unique swivel base allows adjustment of aerial or lighting direction. The Hilomast RDU kit can be placed under any wheel of your vehicle. Heights of up to 39ft can be achieved subject to your head-load.